People with broken shoulders or osteoporosis often prefer simpler methods of treatment rather than consuming pills all their life. 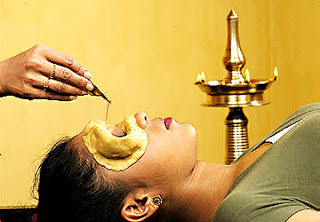 Hence, they are suggested a popular treatment of Greeva Vasthym Ayurvedic Treatment. This treatment offers remedies for neck pain and related conditions. Spinal injuries can be cured through this Greeva Vasthym Ayurvedic Treatment. Common pains in the neck and similar areas are referred to as Greeva Shula, greeva stambha and Manya stambha in Ayurvedic terms.